I hope you like these little doodles I've been doing. I've been enjoying painting them, although I'm getting a little worried for the 8 maids and 10 lords and 12 drummers, eek! So now there are only 10 days until Christmas! There is still time to order Devonshires, and Georgianas (10% off) and have them arrive by December 25th. 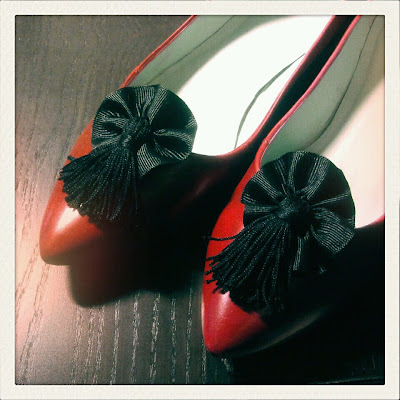 A pair of red Pemberley Regency shoes with black rosette and tassel shoe clips - easy to make yourself, and adds a whole new look to a pair of versatile Pembs. Wow- your paintings are gorgeous! Your paintings are great! How big are they? I can't wait to see the rest! 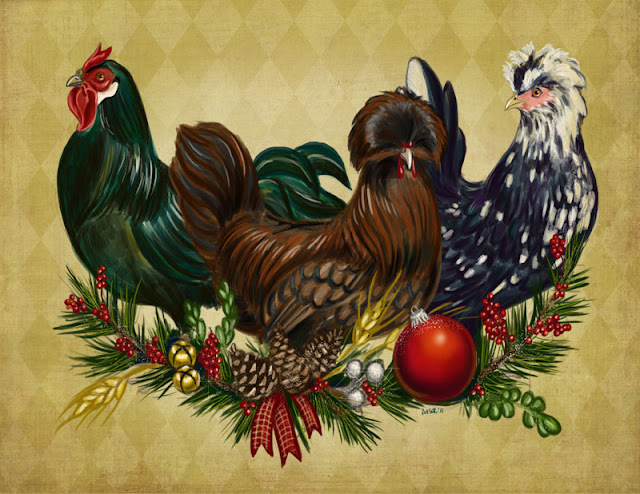 Thanks ladies :-) MrsC, I should get some printed to be ready for sending out next year. I've been doing these just one a day, so I don't have the whole collection yet. A - I paint digitally, so there is no specific size, just full resolution.